¿Hablas español? The staff and members of the Lakewood YMCA in Durham want the community to know they do. The La Voz (The Voice) Spanish-speaking Advisory Committee aims to address the needs of the Latino community in the surrounding neighborhoods, as well as the greater city of Durham. The idea for the committee began as part of a project design initiative (PDI) of the YMCA of the Triangle. Allie Boulton, the assistant program director at the Lakewood YMCA, and four other staff members were tasked with finding a target audience that was not already being served by the YMCA. In response, the group conducted interviews with 10 Hispanic families in the community who had some connection or knowledge of the YMCA. “What we learned is that we don’t know a lot about what they really need and how to help them, so we decided to create La Voz, which is a Spanish-speaking advisory board,” said Brook Oliver, the group fitness director at the Downtown Durham YMCA and an initial member of the project design. Boulton agreed that there were a huge number of disconnects with the Latino community, including overall miscommunication, a lack of translated resources and vague stereotypes of the YMCA. As a result, the YMCA’s member pool does not completely reflect Lakewood’s changing and diverse demographics, she said. While the committee is still getting underway, it already has ideas for some of the first steps it wants to take to connect with Spanish-speaking community members. 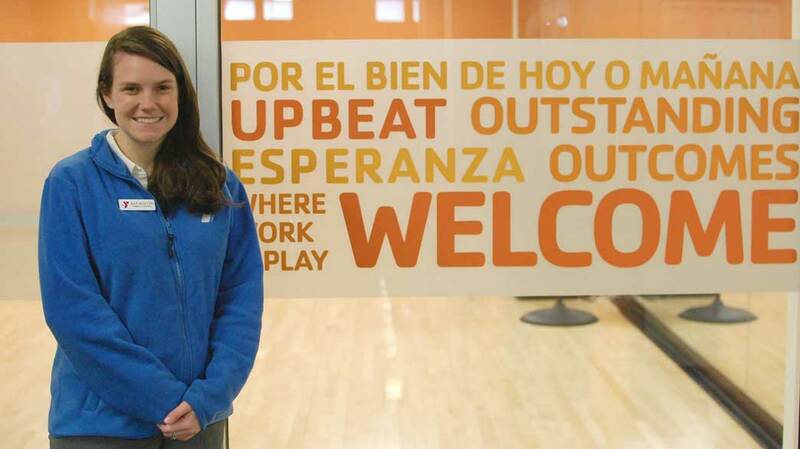 Translating resources around the YMCA as well as increasing the number of Spanish-speaking staff are two of the main goals that committee has already thought about. Boulton will help guide La Voz, but emphasized the importance of the committee being volunteer-based and volunteer-led. In addition, the committee hopes to include representation from many of Durham’s communities and organizations, Hispanic and others, including the YMCA’s own members. “Our idea is that they will help make the YMCA more welcoming and genuine and passionate and accepting and all those things we strive to be with our voice and values for everybody,” Boulton said. Ricardo Correa, pastor of el Centro de Alabanza Naciones Unidas (CANU), which meets at Lakewood Baptist Church, was invited to participate with La Voz by Lakewood’s pastor and plans to emphasize the spiritual realm of the community. For Correa, the Spanish-speaking committee will bring many of the existing community resources to light for the Latino population and hopefully encourage further involvement. “They have always been there, but the lack of knowledge, the present truth hasn’t been actualized,” he said. Specifically, Correa wants to foster greater community ownership, which he believes is also a challenge for the current community. One of Correa’s ideas includes starting a Hispanic basketball league, from 10 p.m. to 2 a.m., in order to offer neighborhood kids a safe place to go at night. The YMCA is an ideal place to hold the league, he said, also emphasizing that the Hispanic community cares about basketball. As a volunteer with La Voz, Elly Goetz, the new community organizer at El Centro Hispano, emphasized that she hopes to see the committee think about topics like nutrition, another key component to healthy living. The YMCA offers many recreational activities, however, Goetz added that by increasing access to nutritional information and then bringing communities these services, all around healthful living will be promoted. Boulton said that on one of their previous planning meetings, Correa drove them around in his car to visit local businesses in order to engage in conversation on behalf of the YMCA. “If we go and see them at their job, then maybe they’ll come and see us,” Boulton said. She added that face-to-face interactions were key to breaking down barriers. With this in mind, the project began with 10 family interviews at the families’ homes. For many of the staff members, the interviews, which often lasted for several hours, were quite personal and sometimes even emotional. Boulton recalled one interview where a daughter emotionally expressed her desire to spend more time with her mother and the conversation focused on how the YMCA can help foster such interactions. “It means so much more if you go and knock on their door and say, “Hey can I talk with you for a minute?” That way you make those personal connections,” Boulton said. Boulton said that, overall, many directors and members are very passionate about the Hispanic community and want to make sure the right information is getting passed out to them. The YMCA offers swim lessons, memberships, after-school programs, summer camps and workout classes. Scholarships are also available to offset the costs. La Voz’s next meeting will be on Thursday, April 18, at the Lakewood YMCA to discuss the committee’s expectations and goals and to develop a plan on how to continue sharing information with the Hispanic community of Durham. The details of the meeting are still being finalized, but interested community members are invited to contact Boulton to get involved. As stated in the YMCA’s mission, the organization and all of its activities remain “for all,” and that’s what the committee wants to embody, even as the community continues to evolve, she said. Oliver also emphasized that the goal is to have a diverse group on the committee. The initiative is focused on bringing in passionate people, even non-members, she said. In doing so, the YMCA’s community outreach will only continue to grow. For more information, contact Allie Boulton at 919-667-9622 or Allie.Boulton@ymcatriangle.org. For a printer-­friendly version of this story, click here. 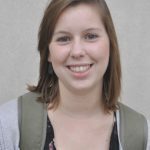 Arts editor for the Durham VOICE and UNC-Chapel Hill student. Contact the Durham VOICE staff at thedurhamvoice@gmail.com. This entry was posted in Education, Hispanic Community, Non-profits, Sports. Bookmark the permalink.